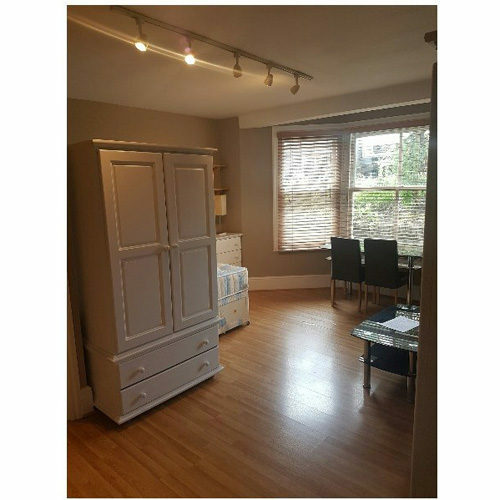 A double self-contained studio flat situated within an impressive Victorian house with great amenities on your doorstep. 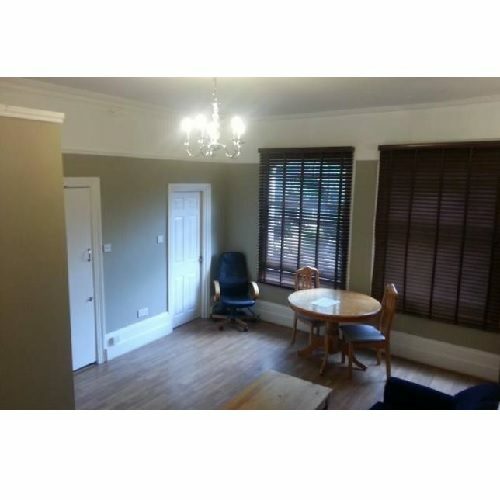 A double studio room with a large bay window providing lots of natural light. 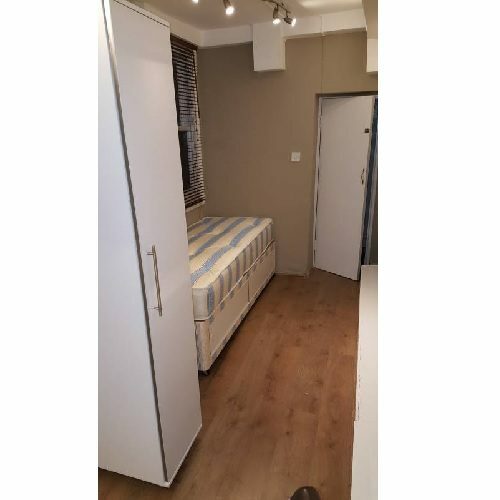 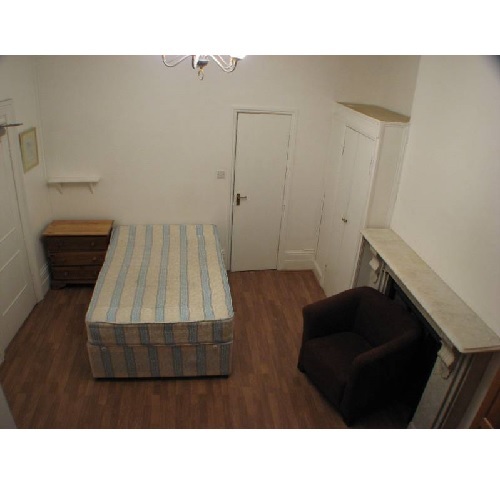 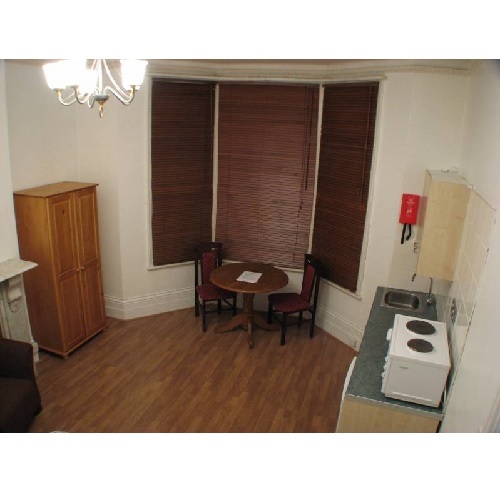 Furnished with dining table and chairs, leather easy chair, double bed, wardrobe, chest of drawers and a range of shelving. 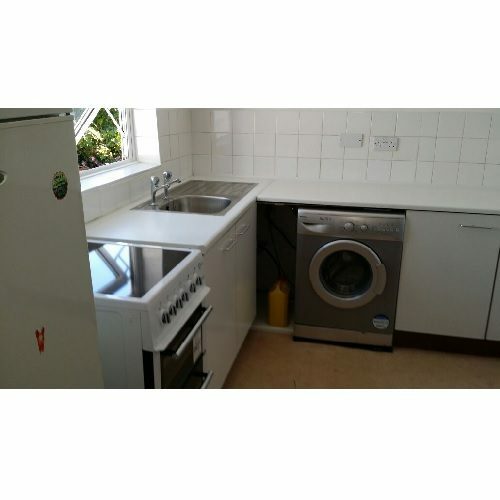 Own Kitchenette with a two ring electric table top cooker with combined oven and grill, fridge/freezer, stainless steel sink and a range of wall and base units. 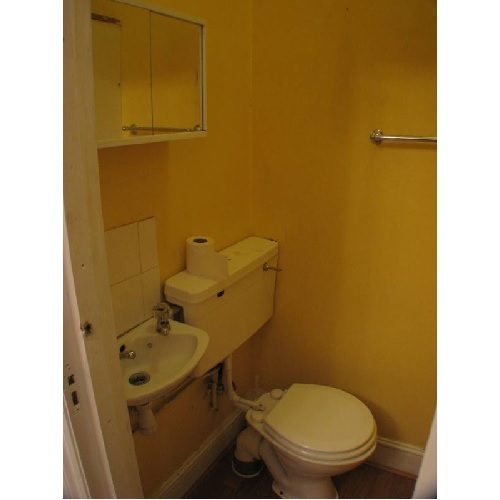 Separate shower room with a shower, hand-basin and WC.